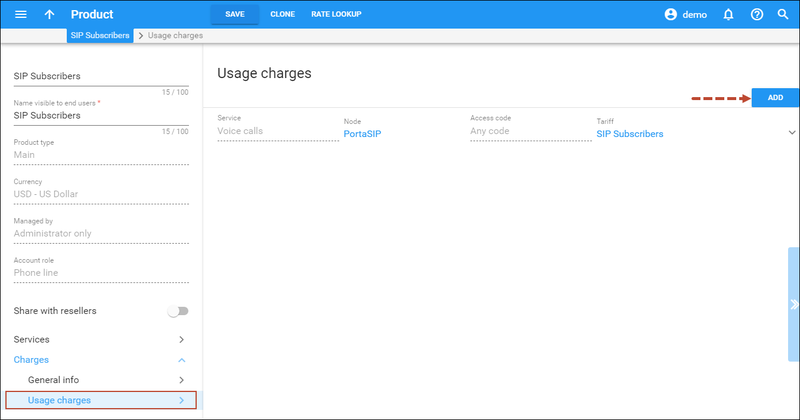 This chapter demonstrates how to set up the PSTN-to-SIP service so that your customers will be able to receive calls on their SIP phones when someone dials their number from a fixed-line or mobile phone. 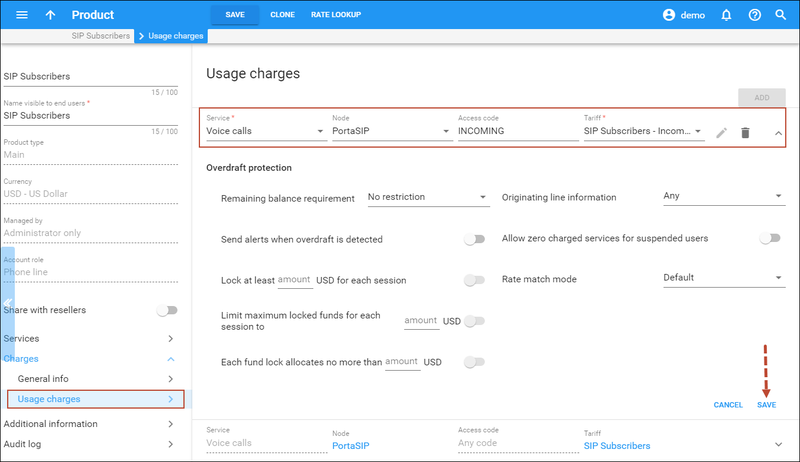 If you receive calls from your vendor via a PRI interface (E1/T1), you will need to send them to a VoIP gateway (such as Cisco or Quintum) and then forward them to PortaSIP®. The simplest and the most efficient way to set this up is to not define this gateway as your node. Instead, simply describe it as a “From vendor” connection, as explained in the next chapter. The checklist below assumes that you have already configured the basic SIP service according to the instructions provided in the earlier chapter. 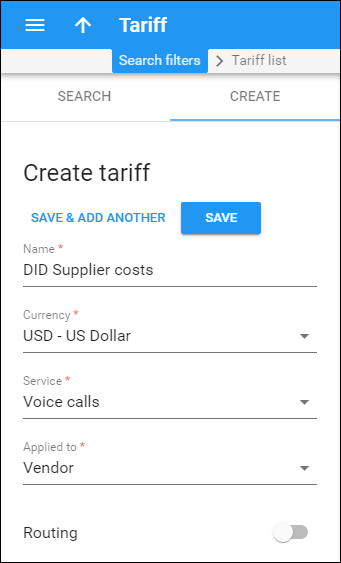 A tariff is a single price list for calling services; in this case, for calculating how much your DID provider will charge you for delivering incoming calls to your network. · Applied to – Choose Vendor here. · Routing – Leave the Routing disabled, since no routing actually takes place for this vendor, i.e. the vendor will be sending calls to your network. 1. On the vendor tariff’s panel, click Rates and enter the rates applied to you by the DID provider. 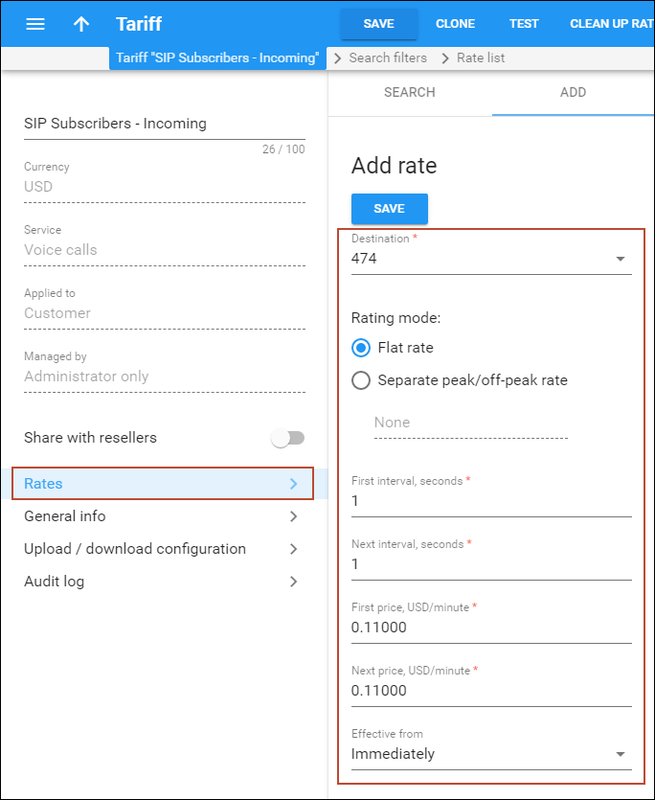 Please refer to the Basic SIP Service chapter of the Basic Residential VoIP Service section for a detailed description of the available rate attributes. Please consult the instructions provided in the Rate Import section and PortaBilling Templates Guide for more information regarding this. This entity is required in order to keep track of your incoming DID expenses, and also to provide an adequate level of security on your network. 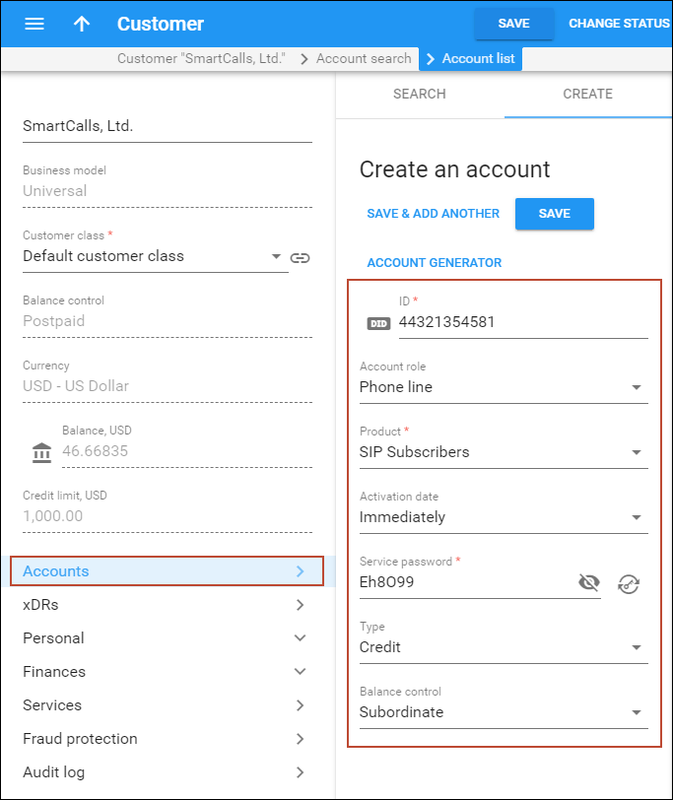 Since every incoming call to your network must be authorized, you can create an account under the vendor which will be used for such authorization. 1. On the Create vendor panel, fill in the vendor details. Please refer to the instructions provided in the Basic SIP Service chapter of Basic Residential VoIP Service section for a detailed description. Connections represent the points from which calls leave or enter a network. They are directed to or from vendors where charges are incurred. In this case, a connection represents the point where calls enter your network via the PSTN gateway. 1. 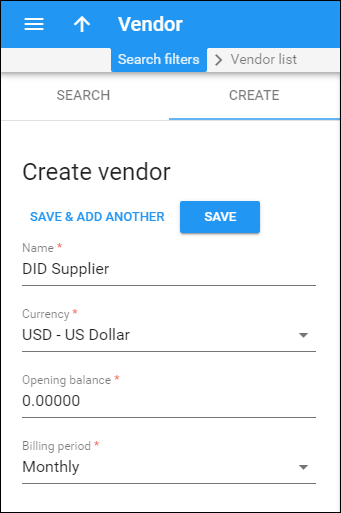 On your vendor’s panel (DID Supplier), click Connections. · Active – Use a slider to set this connection as active. 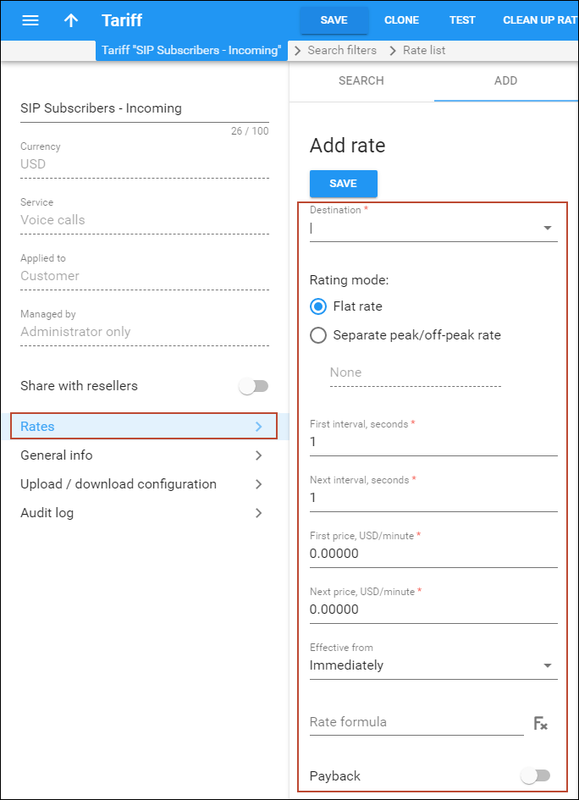 · Service and rating access code – If you would like to use different rate plans for the same service based on where the call comes from, specify the corresponding access code. This allows the appropriate entry specified on the product’s Usage charges panel to be selected. For example, the default value for a “From vendor” connection (applied to calls to the PortaSIP server arriving from outside your network and terminated to one of your SIP phones) should be set to 'INCOMING'. · Capacity – Specify the Capacity value for this connection. · Remote IP – Enter the address of the vendor’s gateway. 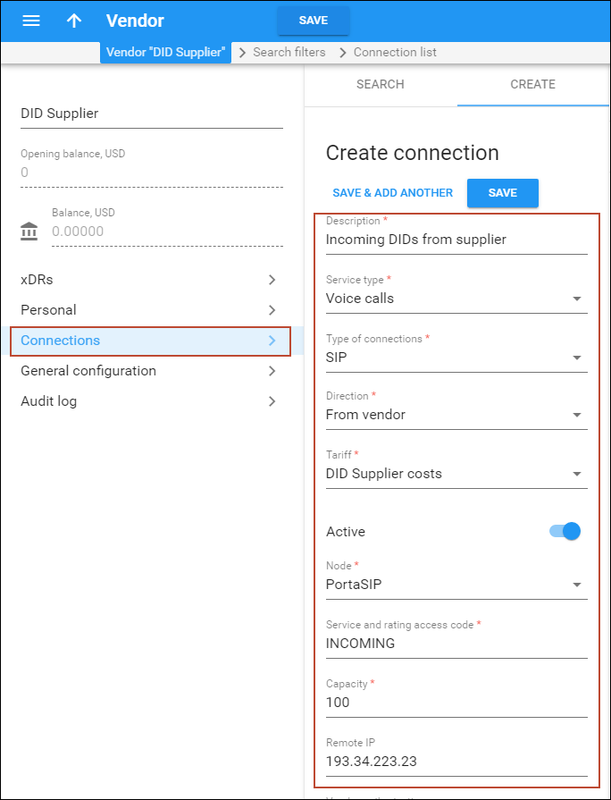 · Vendor authorization – Select the corresponding record for VoIP connections where authorization between you and the vendor is done using a SIP username and password. The tariff is a single price list for calling services; in this case, for your customers’ incoming calls. · Name – Type a short name for the tariff object; this is the name you will see in the select menus, (for example, SIP Subscribers - Incoming). 1. 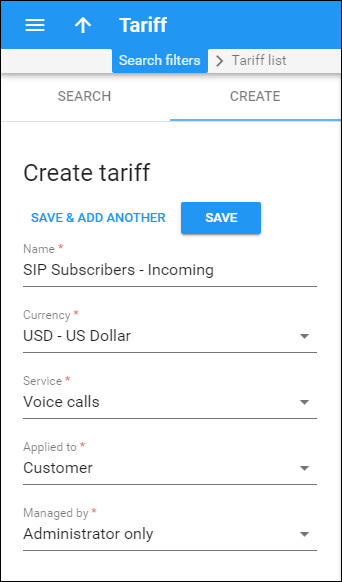 On your customer tariff’s panel (SIP Subscribers - Incoming), click Rates. 2. 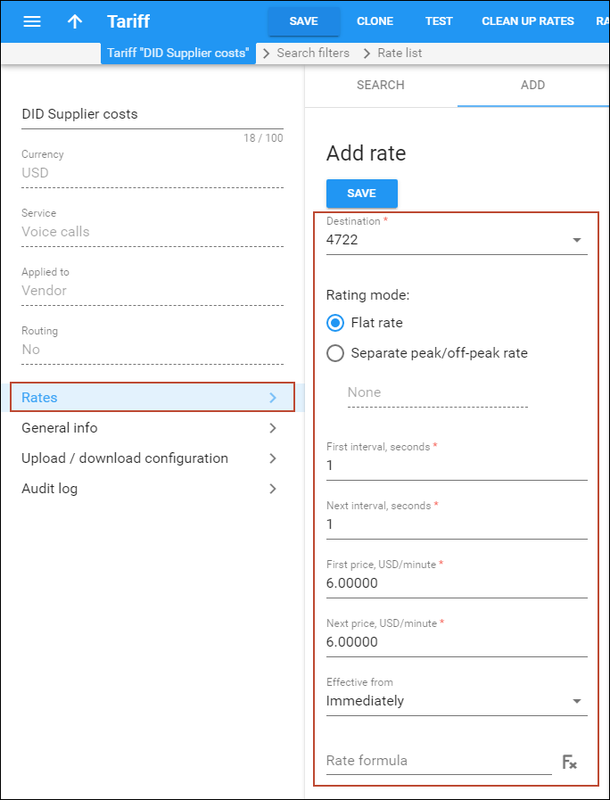 On the Add rate panel, fill in the required information regarding the costs of incoming DID calls; please refer to the Enter Rates chapter of the Basic Residential VoIP Service section for a detailed description of the available rate attributes. If you provide free incoming calls to all (or a majority of) destinations, instead of creating zero cost rates for multiple destinations, you can simply create a single rate for a special “|” (pipe) destination. If the tariff doesn’t specify otherwise, this rate will be applied to any incoming call and to any incoming number. 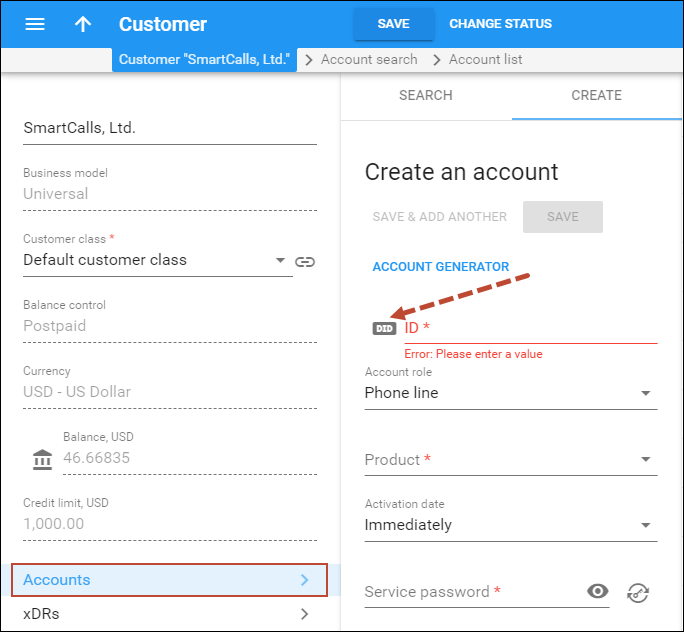 Now you must specify when the tariff you have created to charge your customers for incoming calls will actually be applied to them. 2. Go to the needed product, open the Usage charges panel and click Add. · Access code – Type in INCOMING here. 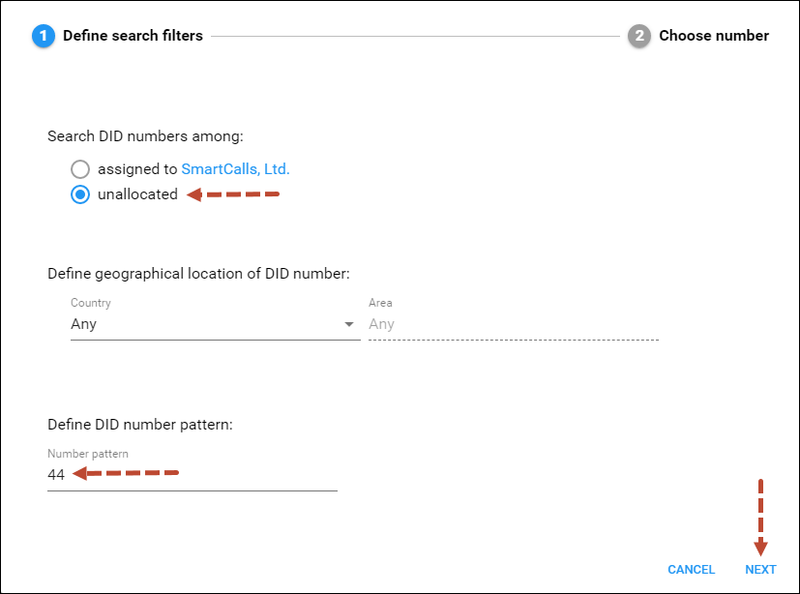 o When the Define the search filters dialogue window opens, specify whether to search through DIDs available in DID pool or among the DIDs assigned to this customer. Also, you can specify the geographical location and DID number pattern (e.g. specify 44 to search for DIDs with the prefix 44). Click the Next button. · Account role – The defined usage for accounts. Select Phone line from the list. · Type – Select Credit to be used for the postpaid services. · Access level – Select Account self-care. · Web Interface language – The language to be used on the account self-care web interface. On this panel, you can activate / deactivate various features of the services provided to this account. 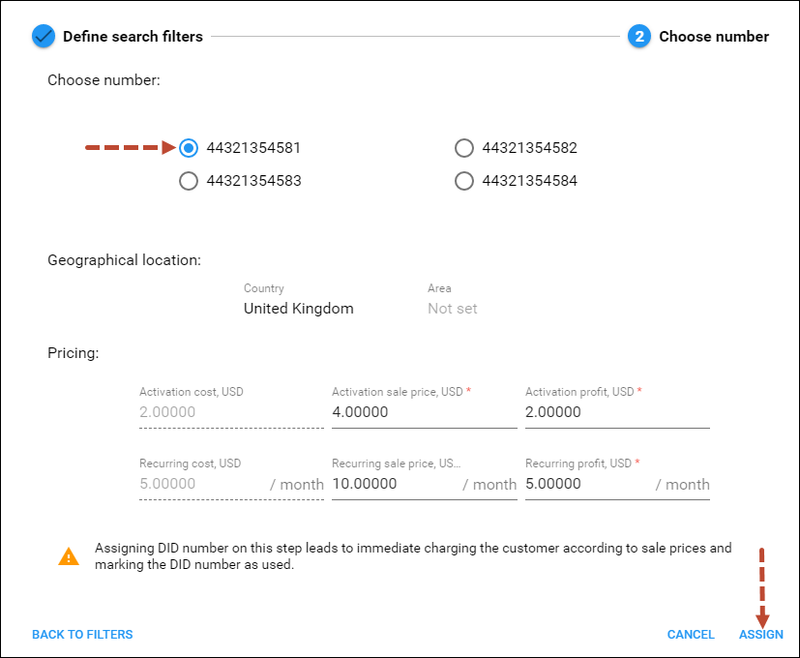 When accounts with DID numbers are created, the DIDs are added to a customer’s pricing batch.